GALION — The Third Friday in Galion initiative began as an effort this summer to give Galion-area residents a reason to visit the Historic Uptowne Galion area. On the Third Friday of May, June, July and August, special events have been planned to entice visitors to the area. While here, there is music to listen to and other special events to take in. 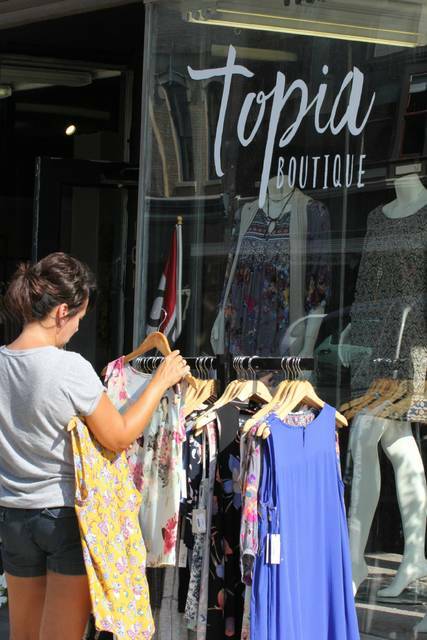 Local merchants, such as Topia Boutique on the square, have gotten into the spirit of TFIG by setting up sidewalk displays, cooking out in front of their restaurants or scheduling their own programs. The final Third Friday in Galion event is Aug. 18.